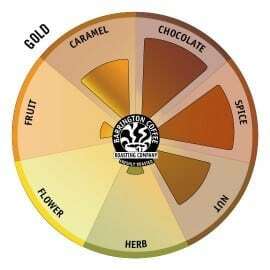 We’re excited to share with you the latest addition to our website—our Barrington Coffee Flavor Navigator. 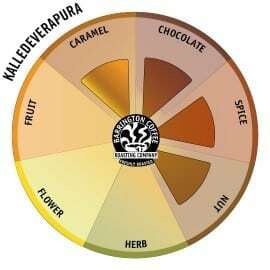 Now when you go to learn about a coffee, in addition to its written description you will see a unique graphic diagram that describes its aromatic and taste characteristics. We hope that this will provide an easy to use visual guide that will enrich the way we communicate with you about our offerings. Through side by side comparison we can understand how coffees share similarities and how they differ. The Gold is chocolaty, spicy and nutty. The Kochere is floral, fruity and herbaceous. 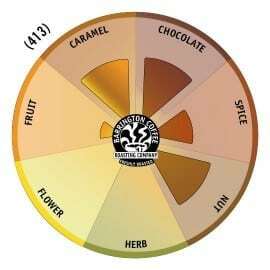 The Flavor Navigator suggests that these coffees are in direct contrast with one another. We understand that they offer radically different experiences in the cup and that they appeal to very different tastes. Notice how these coffees appear very similar, with each expressing qualities of nut, chocolate and caramel. While these two coffees still offer their own distinct experiences, they share a lot in terms of overall characteristics. We would suggest that they appeal to similar palates. 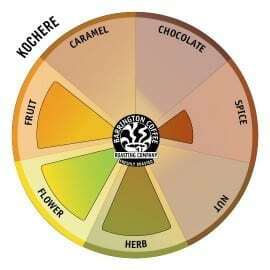 Whether you are looking to try something similar to what you already know you like, or you are curious to mix things up with a little change, we hope our Flavor Navigator will help to guide you along your way!